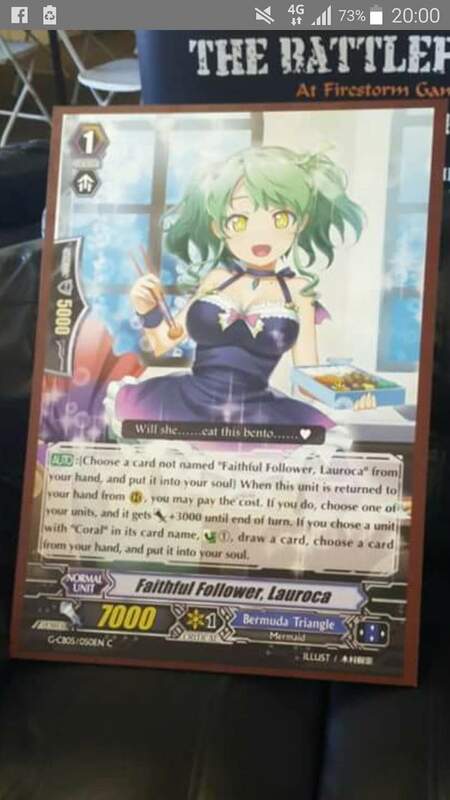 AUTO: [Choose a card named “Faithful Follower, Lauroca” from your hand and put it into your soul] When this unit is returned to hand from your [R], you may pay the cost. If you do, choose one of your units, and it gets Power +3000 until the end of turn. If you chose a unit with “Coral” in it’s name, Counter Charge 1, draw a card, choose a card from your hand, and put it into your soul.